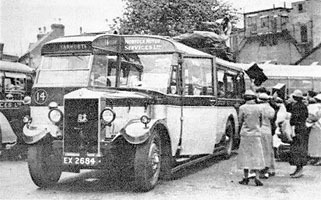 Welcome to the history of The Taylor Family and Memories of Eaton Coachworks at Cringleford, nr Norwich in Norfolk, written by Nicholas Taylor. Nicholas Taylor is the Great Grandson of the founder Edward Thrower Taylor and felt it was important to put down for future generations the story of The Taylor Family and Eaton Coachworks. Nicholas took over the family firm in 1978, which was by then a Funeral Directors, upon his Father's retirement (Peter Taylor). He grew the business from one branch to 17 branches as part of the Anglia Funeral Services Group. He hopes to include this part of the story at a later date. This web site serves several purposes and covers many different interests. 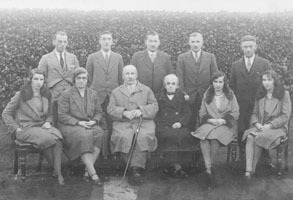 Within this web site you can find out much of the personal history of The Taylor Family in Norfolk and Nicholas has tried to include many of the stories and personal details that bring to life their lives. The main interest lies with the business development from Wheelwright and Blacksmith during the late Victorian times to Coach Builder, Garage, Timber Merchant and High Class Joiners between the two World Wars and up to the early 1960's. Nicholas has included many of the wonderful memories of those who worked for the family firm. Events are described that caused the decline of the business. In time he hopes to include the more recent developments of The Taylor Firm into a successful Funeral Business and beyond. Follow the fortunes of the family via the pages of the different family members. Personal memories of those who worked for the firm are added in italic within the text. Nicholas is continually looking to add stories and memories to this web site so if you can contribute anything then please contact him.